It can be quite a challenge to navigate all the intricacies of the World Wide Web. There are billions of pages of data being tapped into on any given date. And if that’s not enough, there are countless functions that are going on in the background that make it even more challenging to predict what you might need to improve your ranking and give your business an enhanced visibility online. That’s why so many have decided it would be much simpler to hire a search engine optimization, SEO expert, who knows the ins and outs of the digital world. Today, it is one of the most sought after careers in the modern world of business for a number of reasons. Let’s take a look at the reasons why SEO experts are needed. SEO experts have an edge on the average company that conducts business online. Their specialized knowledge of all the tools needed to analyze websites and their ability to hone in on the exact keywords needed for the market are some of the most valuable aspects of SEO. If your goal is to reach the pinnacle of success in online marketing, this inside knowledge will be essential. Because they have a lot of experience regarding the Web, they have seen and experienced various sorts of things online. While you’re busy trying to figure out the basics, they already know how to foresee a particular problem and can work out a solution well before it escalates into trouble for your business. The Internet is constantly in a state of flux. An algorithm used today to determine good ranking may be considered bad Internet practice in the future. It is very possible that by the time you figure out exactly what is needed to move you up in the ranks, the formulas used could change. If you continue to use your old ranking strategies your website or blog might end up being black-listed for not keeping up to date, which could move you down in the rankings instead of up. An example is the new algorithm changes made by Google recently. Before, all that was needed to rank well was good content, keyword placement, and links to show that you were an authority site. However, the new changes are also requiring that websites now must also be mobile friendly. Those that are not mobile friendly will lose their high ranking status on the Internet. This means that customers will have a more difficult time finding them, which could lead to a loss of business. However, SEO experts would already be aware of these new changes and have already started developing strategies to take advantage of these. As such, they can ensure that your website is ready for the new search engine requirements. It could spell the difference between running ahead of the pack or trying to catch up. While you may not have to compete with all of the billions of websites and blogs on the Internet, there’s no question that you will have some competition to deal with. It is important to understand that your competitors, just like you, are hoping to boost search engine rankings. Doing it yourself will be not only time consuming but can be frustrating as well. However, when you hire an SEO company it gives your business a more competitive edge. SEO Marketing is not a one-time job that you can get done and then all is well. It requires paying constant attention to an endless array of details that are ever changing. Those who have been successful in doing their own SEO are often surprised to find out that once they’ve reached their destination, they need to start all over again. Most do not have the time necessary to invest in managing their websites and optimizing them. They’d much rather be working on the business they’re good at so they can save themselves a lot of grief by hiring an SEO expert to keep them afloat even in economic hard times. There is much more involved to online marketing than getting your website to go live. While there is good reason to applaud this stage in your business, there is the job of keeping it high in the search engine rankings to ensure that those who are searching for your products or services get to see your site on the top of the list. In the beginning, many are quite excited to do the work themselves but soon discover that it can be quite time consuming. The quest to the top the search engine rankings will never stop and it is not a place where any business can afford to stand still. Hiring an expert can keep you from burning out at such a task. Part of the role of an SEO expert is to ensure that the pages of your website are properly indexed with the right codes to enhance their presence online. These codes can be quite complicated at times and there are often technical variations that the average person may not fully understand. Most people respond to websites by the way they look and feel but to get the site to look and feel right, codes are needed to display your images and content in an eye-catching and positive way. 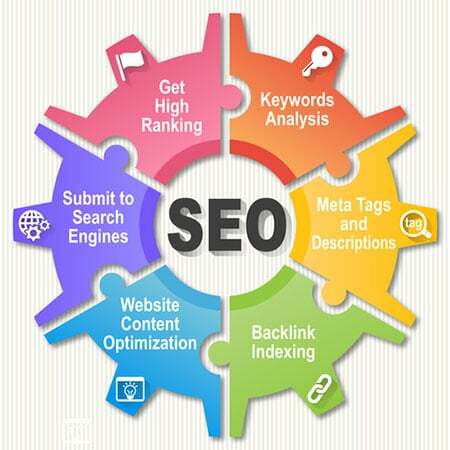 SEO experts are first and foremost problem solvers. Their analysis of your online presence is studied with a critical eye and their knowledge of the ins and outs of the digital world gives them a unique perspective that when applied to your web presence can make a huge difference in how your business is viewed by the rest of the world. It is the SEO expert’s job to find ways to make your business shine and give you the presence you need to make it to the top. There are so many variables to consider when it comes to Internet ranking that only an expert will know how to decipher the ones that are important in your business. Not all websites are the same and you will constantly need to be kept abreast of all of the changes that will affect your ranking. What better way to do that than with the help of an SEO expert?